No participant may compete without wearing a cycling helmet. Only commercially produced helmets, meeting ANSI Z90/4 or Snell standards, may be worn. Gloves are recommended. Participants must be older than the age of 15 years on the day of the 55 km 947 Mountain Bike Challenge. Participants must be older than the age of 10 years on the day of the 25km 947 Mountain Bike Challenge. Participants must be older than the age of 7 years on the day of the 10 km 947 Mountain Bike Challenge. Special dispensation may be applied for in writing to the Race Office for younger entrants. The Early Bird entry fee will apply until 31 Jan 2019 *25km = R272, *55km = R358. Thereafter prescribed entry fees for 2019 will apply. Entry fees are non-refundable. If the Race Office has received a participant’s entry but payment remains outstanding at the end of the session, the entry will be not be saved. An entry is not considered valid until payment has been received. No protest will be entertained in this regard. Entries close 30 September 2019 or when the entry capacity is reached. Every cyclist shall ride carefully and with due regard to the safety of other cyclists and road users. Participants must obey the instructions of the traffic officers and marshals and comply strictly with the rules of the road, save where authorised by traffic officers and marshals. In particular, participants are warned to keep to the left of the road and to remain on the sections of the road demarcated for them. Participants may be required to stop at certain intersections on the instruction of authorised marshals. A cyclist may not use a personal music system, radio communication device or cellular telephone whilst cycling. Only conventional mountain bikes and conventional mountain bike tandems may be ridden. ATB bar-ends are permitted on Mountain Bikes. Any participant who is in any doubt about whether his/her bicycle, tandem or machine is suitable to be ridden in the event and, if so, in which category, is advised to contact the organisers well beforehand. RaceTec is the official timing company of the 25km & 55km 947 Mountain Bike Challenge 2019 (http://racetec.co.za/chip/terms-of-use/). It is compulsory for every cyclist participating in 25km & 55km to wear a valid RaceTec timing chip linked to your personal profile. The 10km 947 Mountain Bike Challenge is not a timed event. You may not ride with someone else’s race number or RaceTec timing chip. Any participant that does not wear a RaceTec Chip will not be allowed into the start pen on race day or will have to purchase a new chip at the start. No protest will be entertained in this regard. RaceTec Chips can be purchased during the online entry process or directly from RaceTec on 087 820 7223 or queries@racetec.co.za. Timing queries must be addressed to RaceTec or Race Office no later than 31 January 2020 for consideration. The size of group entries will be limited to the top 200 qualifiers based on their Racetec / SA Seeding results as per CSA rulings. Licenses must be available for view at registration and on race day. No day licenses will be issued at registration. The 947 Mountain Bike Challenge Organising Committee (Organising Committee) are not responsible for the collection and return of licenses. Any cyclists who fails a doping test will be disqualified and receive a lifetime ban from this event. Seeding is the process that puts cyclists of similar ability into the same starting group. It is done to ensure a safe event and to place cyclists with others against whom they can compete enjoyably and safely. The Organising Committee will use selected Racetec MTB events between 1 October 2018 and 30 September 2019 for seeding of 25km / 55km entrants (at the discretion of the Race Director). Cyclists who believe they have been incorrectly seeded may apply for re-seeding. Re-seeding may be done at the sole discretion of the organisers who will require proof of ability in the form of results only. A re-seeding fee of R200.00 is payable if results used are not from the qualifying events. A cyclist may not start or attempt to start before his/her designated start group. Any cyclist who does so will be disqualified. No protest will be entertained in this regard. 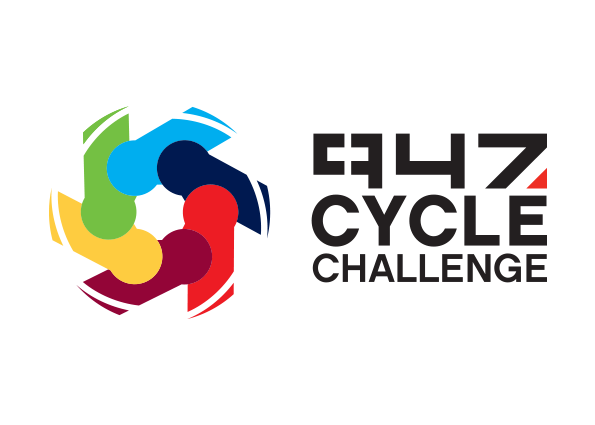 If you have entered the 55km event, you will require a minimum qualifying seeding by 30 September 2019 in order to qualify to take part in this distance. If you have entered 55km and do not qualify you will be automatically entered for the 25km race. This is done for safety reasons. If you are downgraded, any difference in entry fees will not be refunded. No protest will be entertained in this regard. The Organising Committee is selective with the events it endorses as seeding events. The events selected meet the Organising Committee’s criteria of safety, being well run events, and that they are also RaceTec timed. Other RaceTec timed events may be considered on a merit basis, but are not considered standard seeding events, and as always if entrants can provide the Organising Committee with legitimate grounds for reseeding, the Organising Committee will consider these. It is not in the Organising Committee’s interests to push entrants to enter and ride events which are deemed dangerous or at best not efficiently organised, or benchmarked against the 947 Mountain Bike Challenge criteria. No participant MAY sell their number, or allow anyone else to ride under that number. Should a participant be in breach of this, she/he will be immediately disqualified and banned from participating in the 947 Mountain Bike Challenge for 5 years. No protest will be entertained in this regard. A participant may organise a substitution with the Race Office which can be done for a fee of R200.00. The original entry fee will not be refunded. The person who is being substituted will have their number removed from the database and a new number will be allocated. Seeding will be according to the new participant’s individual seeding index. There are cut off points along the route that will be explained during the race briefing on the start line. Participants who fail to reach the cut-off point in a specified time will be withdrawn and will not be permitted to continue. Cut-off times may be changed OR additional cut-offs may be instituted at any time should the Race Director deem it necessary for the safety of participants. No protest will be entertained in this regard. Support services will similarly be withdrawn for that section of the route and the route will be opened to normal traffic. No protest will be entertained in this regard. Participants must complete the course entirely under their own power and slipstreaming any vehicle or motorbike is prohibited. No participant may cause or allow any motorised or human powered machine, other than that of another participant, to follow or second him/her. The Organising Committee reserve the right to alter the routes in accordance with safety, traffic, construction or other constraints. No protest relating to deviation will be entertained. There will be Medical personnel at the start, on the route and at the finish should any cyclist require it. Any reasonable medical or emergency evacuation costs incurred on behalf of a rider by the 947 Mountain Bike Challenge will be for the cost of the cyclist. A cyclist may not participate whilst under the influence of alcohol or any drug or medication that prevents or might prevent a cyclist from properly controlling his or her bicycle. If I cyclist is found to be under the influence and poses a danger to other riders, they may be pulled from the route, disqualified and or banned from future events. Failure to comply with any of the foregoing rules may result in disqualification. A protest committee will adjudicate any dispute, including one regarding the interpretation of these rules, and its ruling shall be final and binding. Protests must be submitted in writing within 2 hours of the finishing time to which the protest applies and be accompanied by a deposit. Waiver: Participants take part entirely at their own risk and agree that they shall have no claim whatsoever against Primedia (Pty) Ltd, its directors, employees, the Organising Committee, any individual or official, marshal, assistant, helper or agent, the sponsors or any local authority or their employees, in respect of any loss or damage whatsoever which participants may suffer arising from any injury to their person or loss or damage to their property as a result of, or arising out of, whether directly or indirectly, the participants' arrival and departure there from, attendance at registration, prize-giving or other function thereof, any loss or damage to bicycles or other equipment, however such loss or damage may arise. Persons signing this entry form as guardian of a minor hereby consent to such minor being bound by the a foregoing and further indemnify the organisers and aforementioned parties to the extent, of any, to which such minor is not capable of waiving his/her rights as stipulated above. Persons taking part in the 947 Mountain Bike Challenge as part of a team and whose entries were made on their behalf are deemed to have accepted these terms and conditions by virtue of their participation in the 947 Mountain Bike Challenge. Indemnity: The participant agrees to abide by the rules of the 947 Mountain Bike Challenge, and confirms that she/he has read them, and understands that she/he takes part in the 947 Mountain Bike Challenge at his/her own risk and indemnifies the sponsors and/or organisers against any claim which may result from his/her participation. The participant further understands that it is his/her responsibility to be medically fit to take part in the 947 Mountain Bike Challenge. This indemnity applies equally to teams entering under the rules and conditions of entry. In entering the 947 Mountain Bike Challenge, the participant understands that the Organising Committee will take photographs of the event including participants to the event and she/he consents to such photographs being taken at the event and being used for promotional and publicity purposes at the Organising Committee’s sole discretion. The participant further understands and accepts that the photographs are and will remain the property of the sponsors and/or organisers. If you are entering for any person other than yourself (“third party”) then by accepting these terms and conditions, you do so being duly authorised by the third party to accept the terms and conditions on such third party’s behalf and you agree to indemnify the organisers and their representatives harmless against all claims. Privacy: The personal information which is collected from you and processed by Primedia Proprietary Limited and/or its race organiser is done solely with your consent and in accordance with the Primedia Privacy Notice, available at www.primedia.co.za The personal information which you provide to us in completing the online entry form will be processed purely for legitmate business. We will not share your personal information further unless Primedia Proprietary Limited so requires in terms of law or in terms of a legitimate business purpose. You may write to us at info@primedia.co.za should you have any questions regarding how we process the personal information you provide. Subscriptions and/or Opt-in’s: Please note that in the event that you have selected to unsubscribe and/or opt-out of receiving any newsletters and/or marketing mail you will still receive communication regarding logistics relating to the event you have entered.